We love to take pictures! This page lists the places we have been while RVing. They are in alphabetical order by state, not chronologically. If we have visited the same place more than once, the pictures are combined into a single gallery. We have been to lots more places than this and we are working diligently to get them all online for you. 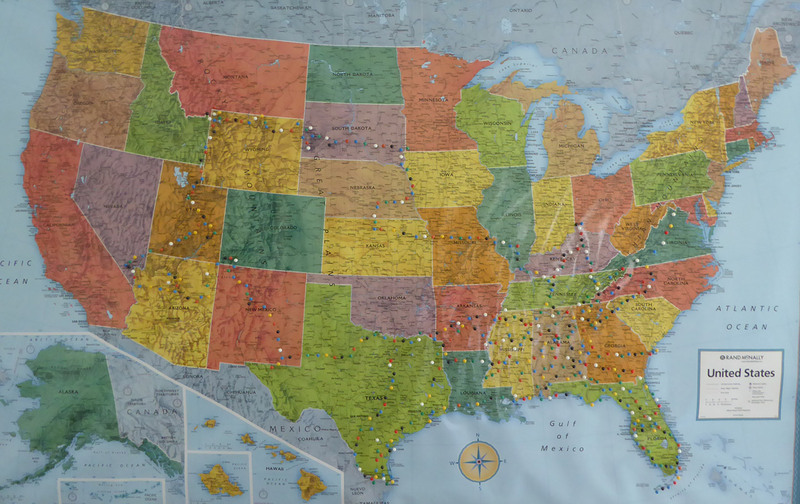 The picture below is a 4 foot wide map we have on the wall with pins indicating all the places we have been together as of April 2019!